Elevate Technologies provides a distinguished consulting and training experience for your organization. Our consultants and trainers are world-leaders in Internet technologies in general and IPv6 in particular. With Elevate Technologies, you receive training and consulting from authoritative sources, whose contributions to Internet technologies and standards are acknowledged worldwide. IPv6 Hot Spots: Elevate Technologies consultants will work with your IT team to assess your organisation's IT systems. We’ll identify critical areas to ensure IPv6 readiness and areas of non-compliance. We’ll then work with them to prioritise each area or system based on your business objectives and processes. A critical minimum step for all companies. .
IPv6 Transition Strategies: Elevate can work with your organisation to develop an IPv6 transition and deployment plan inline with your IT and business strategies. We will work with your team to develop a tailored plan specific to the needs of your systems and infrastructure. Our IPv6 experts will assess your IT systems' operations and infrastructure and determine the best way forward with IPv6. 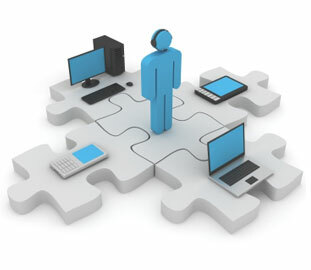 We also produce vendor and connectivity requirements, as needed, and deliver those requirements to your vendors. Our team will also work with you to identify possible business and IT benefits that can be gained by deploying IPv6 and to bring awareness of the benefits of IPv6 to the managers in your business. IPv6 Implementation: Elevate can oversee, review and manage the implementation of IPv6 within your organisation. Our IPv6 experts and management staff can review your IPv6 transition plans, oversee the execution and ensure your strategy is being implemented correctly. Elevate's training services empower people throughout your organization with the knowledge they need to deploy, manage and fully capitalize on IPv6 networks and services and to ensure the IPv4 transition doesn’t cause your business problems. Our team has extensive industry and technical experience in IPv6, including standards work, Web services and telecommunication networks, which guarantees you a perfect balance between theory and practice. IPv6 for IT Specialists: This course is designed to address the needs of your technology specialists. It is best suited to architects, engineers and network operations and administration staff. One of the lead goals of the course is to ensure all IPv6 hotspots, those systems, pieces of equipment and software programs which are most likely to be affected by the transition to IPv6 and are most critical to your business. IPv6 for IT and Technology Managers: This course is designed to provide an overview of IPv6 and its advantages for IT project managers, technology managers and technical sales staff. Once IPv6 is in place, how can you fully take advantage of the many opportunities it presents. IPv6 for Executives: This course is designed to highlight the strategic opportunities IPv6 will introduce for your business and includes an overview of the technology and its uses. It is designed to ensure your senior management from marketing and operations are aware of the need for change and its implications for your organization. Please contact us for more information on any of our courses or if you wish to inquire about a course that is not listed above.